Professional upholstery care and carpet cleaning in Sheffield & surrounding areas. Incredible results or your money back. Professional carpet cleaning services using hot water extraction. Thorough, careful cleaning of your upholstery and soft furnishings. Your cleaning needs are in good hands with the team at CleaningPro. We’ve been providing professional upholstery care, hard floor cleaning and carpet cleaning in Sheffield, Rotherham, Barnsley and other South Yorkshire areas for almost 2 decades now. In that time, we’ve provided a first class service for hundreds of homeowners and businesses throughout the community. As a result, we’re now one of the most trusted carpet cleaners in Sheffield, and are relied upon to restore all kinds of soft furnishings and flooring. Cleaner, fresher and longer lasting carpets and furniture. A full, extensive cleaning service – not just a ‘quick clean’. A polite, fully trained team, approved by TACCA. A 100% Money Back Guarantee. Free tips and advice on keeping your carpets and furnishings clean and fresh year-round. We use a high-end steam cleaning machine to clean your carpets and soft furnishings, resulting in deeper, faster cleans, and much shorter drying times. As approved members of The Approved Carpet Cleaners Alliance (TACCA) and an approved service provider for Woolsafe services as a WoolSafe fibre care specialist technician, you can rest assured that when you choose CleaningPro as your cleaning company, you’re going to be provided with a first class service. Flooring, carpets and furnishings should last a long time, and they should always enhance your home or business. A proper clean expands their lifespan and makes a stunning difference to any space. We often find that we are able to give a new lease of life in many cases where others would have given up. As our customer – home or business owner – your satisfaction is our main priority. That means we’re only satisfied with the results we produce if you are, too. So, unlike other carpet cleaners in Sheffield, we’re going to refuse to take your money if you’re not absolutely satisfied with the service we provide. If you’re not happy, let us know. We will return to your premises and re-do the job free of charge. If you’re still not happy, we will give you all of your money back. No questions asked! So, if you’re looking for an experienced, qualified and locally trusted cleaning company that provides professional hard floor restoration, upholstery care or carpet cleaning in Sheffield and surrounding areas, get in touch with us today for a free no obligation quote! 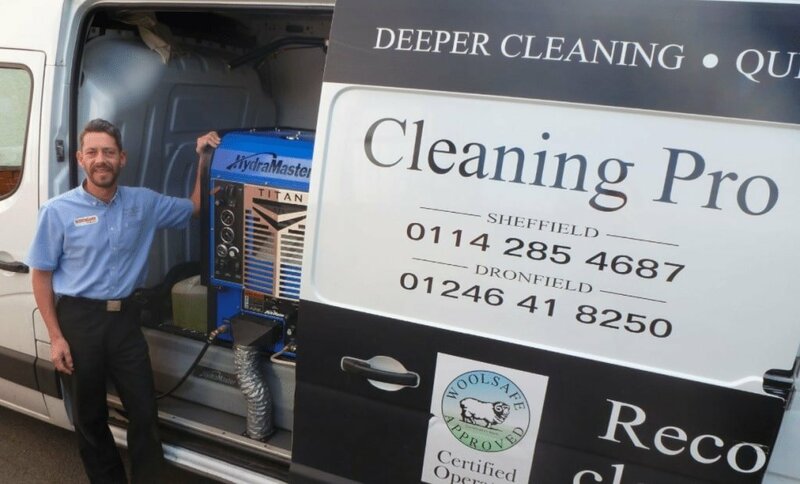 Shaun has been providing professional upholstery care and carpet cleaning in Sheffield, Barnsley, Rotherham and surrounding areas for more than 27 years, providing services for both domestic and commercial properties across South Yorkshire. Friendly and professional service. Amazing what a difference the cleaning made to our carpets, and how much fresh-looking carpets brightened our whole house! Fantastic job done yet again. I’ve used cleaning pro several times now and the work is always of superb quality.There is a big difference between a cleaner that occasionally does carpets and an actual professional carpet cleaner. The transformation before and after always surprises me. Heartily recommend! Excellent service. Shaun was very friendly and did a fantastic job cleaning our carpets. Would definitely recommend. Had my carpets cleaning in my new home yesterday by Shaun. Can’t recommend him enough had a fab experience. He was on time, friendly, very helpful and most importantly did a great job!! Didn’t take him long to do the carpets...2 lots of stairs, landing and 3 bedrooms. Carpets are cream coloured and he did a brilliant job at making them look brand new and they smelt so fresh and lovely afterwards. He also uses organic/ antibacterial agents which is also a huge bonus. If you need your carpets cleaning this is the man I would recommend to anyone.Thank you Cleaning Pro! 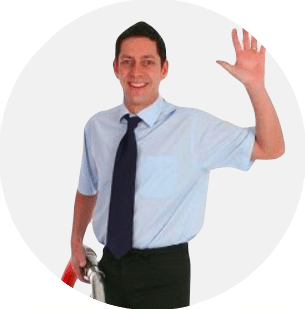 We have used Sean for several years now for our busy student letting agency. Sean is very professional and courteous with the tenants and goes out of his way to assist us with sometimes what can only be described as very difficult cleaning situations. Sean has a wealth of experience, is extremely reliable and I would highly recommend him. Excellent service, very reasonable priced and superb attention to detail everything. Thoroughly recommended. As somebody who has been in the industry for a long time and has invested heavily in both equipment and training, Shaun is able to deliver outstanding results on your furnishings. I would thoroughly recommend the services he provides. Shaun is a leading light in the Carpet Cleaning world. You are in safe hands. Thoroughly recommend. A+. Not only do our results speak for themselves, the way in which we get them is entirely focussed around making your life as easy as possible. We turn up, on time, when you’re expecting us. And we will always do our best to make that the time that is most convenient for you. We do the hard part for you. By cleaning half of a room at a time, we can keep your furniture from clogging up the rest of the house as we clean. We can call you right back to get a free no-obligation quote.